Rival Sons is an American rock band from Long Beach, California. The band formed between 2008 and 2009 from the remnants of the band that Scott Holiday was part of called Black Summer Crush featuring Thomas Flowers (Oleander). The pair began auditioning musicians when Scott was introduced to Michael Miley and instantly felt he was the right fit. After trying several bass players Michael suggested Robin Everhart who joined the band. The band recorded together from 2006-2009. Scott was introduced to producer Dave Cobb who became a writing partner for the new album. Scott was eager to find the right vocalist and writing partner for the band. He came across Jay Buchanan’s music on MySpace. Michael Miley had previously played with him in his band Buchanan. Scott instantly knew that this was the vocalist he had waited for the past ten to twelve years of his life. The band re-recorded “Before The Fire” with Jay Buchanan on vocals in 2009. 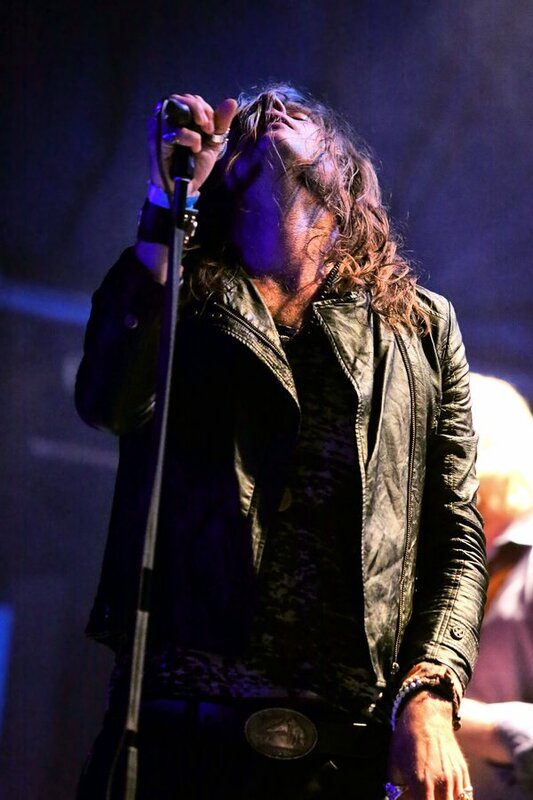 Prior to the formation of Rival Sons Jay Buchanan performed as a solo artist with his band Buchanan. 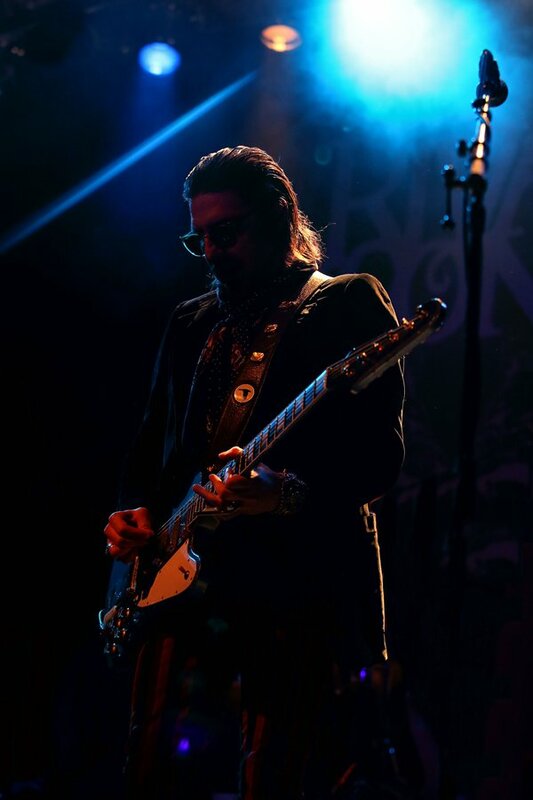 Rival Sons would be the first rock band that Jay Buchanan has performed with and considering that he was a blues singer songwriter, he was initially sceptical and regarded the band as a side project. He was surprised by the reaction that the band received and the success they achieved with their debut album “Before The Fire” released in 2009. The band got some exposure when their song “Tell Me Something” was used in an ad campaign for Indy car racing. The band supported AC/DC, Alice Cooper, Kid Rock and performed on the track during a televised show of the Indianapolis 500. The band recorded another EP which they released themselves in 2010 catching the attention of Earache Records founder Digby Pearson. The band signed a deal in November 2010 which eventually led to the recording of the album Pressure & Time in 2011. The EP was re-released digitally by Earache Records and it spawned the band’s debut European single “Torture” in February 2011. 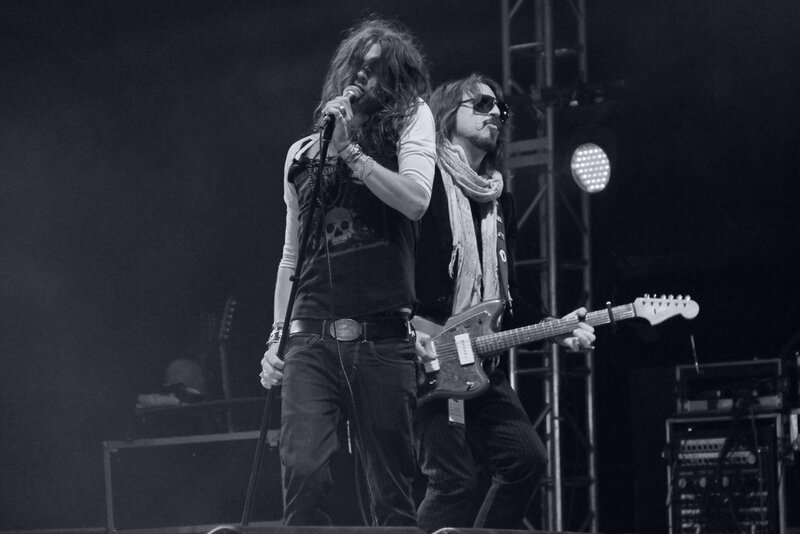 In March 2011 the band played shows at the House of Blues, SXSW and Canadian Music Week. The band made their European debut at Camden Barfly on the 12th of February 2011 for the HMV Next Big Thing. Vintage Trouble supported the band and the show sold out in advance, which ignited an almost unbroken string of sold-out European shows. The band takes pride in the fact that they write and record an album as quickly as their inspiration allows. This ensures that the spontaneity is maintained and that there is risk involved when the material is released. The live recording process that they use is key to their sound and adds an edge to their music. The band has recorded every record released thus far with Dave Cobb. They released their second album Pressure & Time on the 20th June 2011 in the UK and on the 28th of June 2011 through Earache Records. Pressure & Time went on to be voted as Classic Rock magazine’s second best album of the year reaching number 1 under Amazon’s Best Sellers and charting at Number 19 on the Billboard charts. 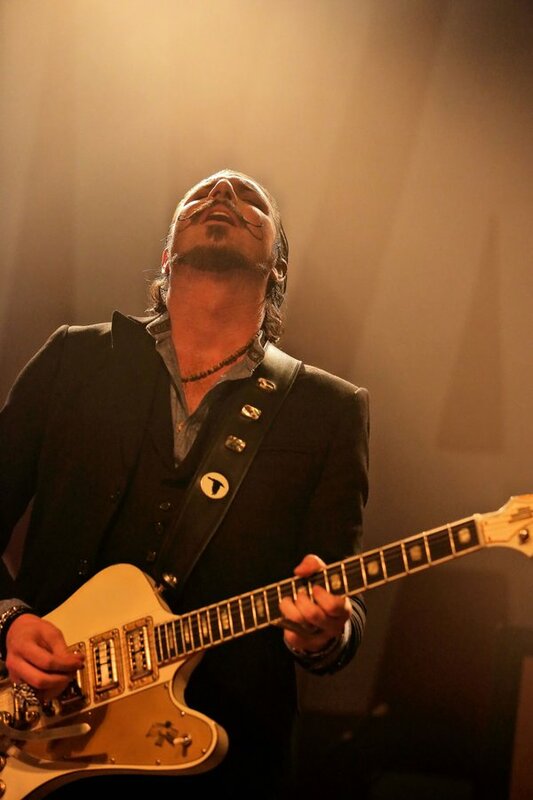 Rival Sons played a number of shows in Canada in May 2011, as well as SXSW, Hangout festival, The Viper Room and they went on to play some European festivals such as Azkena, Sonisphere, Rock Werchter, Main Square, Putte Parken and Bospop in July 2011. The band joined Judas Priest, Queensryche and Lady Starlight who was on tour in the UK at the time. Amy Lee personally requested that Rival Sons support Evanescence in the USA in October/November 2011 and again in January 2012. The band went on to play a headline tour in Europe in November and December 2011. Rival Sons played an acoustic set at the annual Classic Rock Awards at the Roundhouse in London and they were voted “Best New Band” by the listeners at Planet Rock Radio. Pressure & Time was voted as the second best album of the year by Classic Rock Magazine. In February 2012 the band entered the Honey Pye studios in Nashville, Tennessee for only 20 days to record their third full-length album along with Dave Cobb and Vance Powell. Pressure & Time was re-issued as a deluxe edition from which the last single Face of Light was taken. They shot the video for Face of Light before the band embarked on some US and Canadian shows which included Rock on the Range and Big Music Fest before a string of European summer festivals including Rock Am Ring, Sweden Rock, Ruisrock, Bukta, Graspop and Download. Rival Sons played with Evanescence, Eagles of Death Metal and Black Stone Cherry at some European shows. Rivals Sons released their fourth studio album “Head Down” in September 2012 to critical claim. The album charted in the Top 40 in 7 countries. The band embarked on another sold out European tour, featured on the cover of Classic Rock Magazine and won the Breakthrough artist award presented by Vic Reeves. In January 2013, the second single “Until The Sun Comes” was released accompanied by a video directed by Simon Gesrel, known for his stop-motion work. In March the band recorded for Billboard The Beat and appeared in Jimmy Kimmel Live on the 7th of March 2013 then left on another tour to Europe supported by The Balconies and they then went to the UK in April supported by The Graveltones and Ulysses, culminating in a sold-out show at Shepherds Bush Empire. The band did a small mid-west USA tour before returning to Europe in June to play more summer festivals including Download, Kivenlahti Rock, Bergenfest, Bravalla, Main Square and Open Air St. Gallen. The band also supported Kiss in Italy and Switzerland. 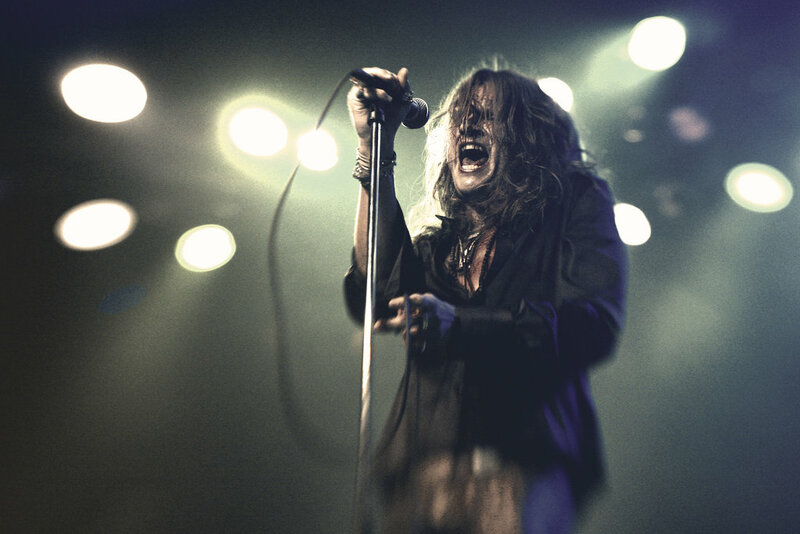 In September of 2013 Rival Sons supported Sammy Hagar across the US, played Hard Rock Vegas in December and celebrated New Year by headlining a street party in their hometown of Long Beach. Robin Everhart left the band in August 2013 due to the rigors of touring and was replaced by Dave Beste. In early 2014, the band returned to the studio with Dave Cobb producing once more, their latest album “Great Western Valkyrie” was released on the 6th of June 2014. This image is the property of the photographer.